It seems like just yesterday that we were packing up 2016 and placing our bets on what 2017 had in store, and here we are preparing for 2018 – scary, huh? Once we muster the ability to look beyond the horror of how fast 2017 has been and gone, we’re actually left with an abundance of excitement. The reason for this excitement is that we no longer deem it necessary to sell the benefits or lecture brands on why they should be doing influencer marketing. Nor do we need to, or want to, shout the same old stats on the ROI of influencer marketing ’til we’re blue in the face – 2017 has been a year where many a pennies have dropped. With all this said, brands are yearning to learn exactly what they need to do to get started. And now, as we enter the final days of 2017, is a perfect time to get prepared. There are various great articles already out there helping brands get prepared, including predictions for next year such as here on Forbes, as well as advice pieces on how to budget for influencer marketing in 2018 such as this one on Smart Insights. If all that is between you and influencer marketing is knowing where to begin, then read on. 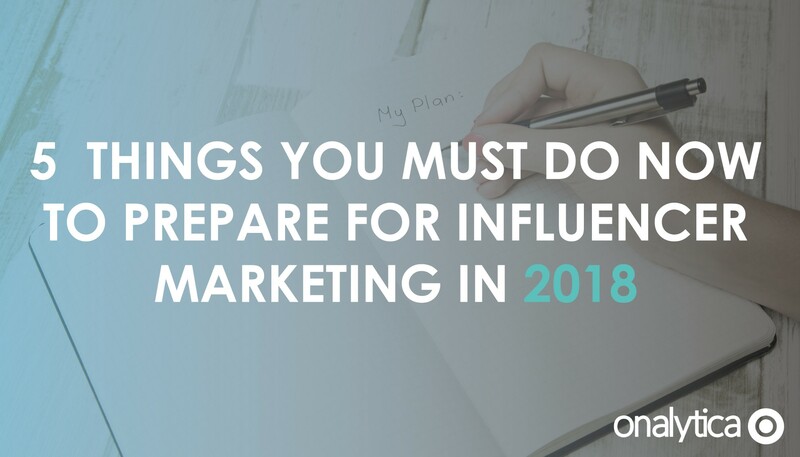 Here are the 5 key areas that brands should work on now, to prepare for and successfully execute influencer marketing in 2018. 1) Do you know who your relevant influencers are? Let’s get the obvious part over with – identifying your influencers is of course one of the first steps that you need to take to get prepared. However, something less obvious is that this identification stage is far more complex and strategic than just knowing who is influential in your industry. Many believe that this is the only influencer category. These are the influencers that you have chosen to actively engage, build relationships with and work with. These influencers will hold influence within your industry, and drive engagement in the topical areas that are important to your brand. They may be the micro influencers that are relevant, have some authority within the industry, drive engagement, but their follower numbers are not so high that they’re difficult to engage. Your number of engagement targets does not have to be huge; in fact it is better to start small with 5-10 influencers and fine tune your approach. Beyond engagement targets, it’s extremely important for brands to be aware of and listen to the wider influencer community. While it is not humanly feasible or efficient to build relationships with hundreds of influencers, it is very worthwhile including 100-500 influencers in your program to understand how the influencers connect together, who’s driving conversation, the influence your engagement targets have on the winder influencer community and what the influencer community are collectively talking about. This includes the larger influencers who set the tone and trends in the industry, but are difficult to engage, as well as the smaller influencers. This data can provide insights on content creation ideas, and how you should approach your engagement targets. Brands too often neglect to consider the influencers that are already voluntarily advocating their brand. These could be anyone from internal employees to external influencers – both big and small. Ultimately, the goal is to influence your target audience through people. When activated in the right way, the size or type of influencer does not matter. What this comes down to, is that consumers (the millennial generation in particular) have an inherent lack of trust in brands, yet, a high degree of trust towards customer reviews left by strangers on websites such as Amazon! Have you ever considered your own customers to be advocates? Do not let your existing advocates slip through the net. Which competitors are working with influencers? How many influencers are they working with? What kind of influencers are they? What are they doing with the influencers? Are they co-creating content? What topical areas are these influencers influential in? Are there influencers or employees advocating their brand? Are they exclusively advocating their brand? You never know, you may save yourself some time in identifying topics and ways to work with influencers if your competitors have done a lot of the hard work for you! Brand awareness – how aware are your influencers and target audience of your brand? How does this compare to your competitors? Brand perception – how is your brand currently perceived in the industry amongst your industry influencers and target audience? Is this positive or negative? Topic association – what topics are your brand associated with amongst influencers and your target audience? Are there any topics that you’re lacking in? Brand share of voice – what is your share of voice amongst your influencers and target audience? How does this compare to your competitors? Hot industry topics – what have been the hot industry topics in the last year? Have you reacted to them in your content? Have your competitors? Influencer engagement – what is your current influencer activity? What about your competitors? Based on these insights you can highlight opportunities to improve and set and monitor realistic goals and objectives for the year ahead. Organic Influencer Relationship Management works because there is something to gain for the brand and the influencer. Ideas of what a brand can offer an influencer is often misunderstood and simplified – contrary to popular belief there is often something far more valuable that a brand can offer other than just paying an influencer. An influencer has grown their authority and influence as they provide value to their target audience – if you’re able to assist with this in some way, then you’re able to pose a very attractive opportunity. Invite influencers to your event – if you’re hosting an event that is relevant to your target influencers, get them involved. So long as there is value to be gained for the influencer, they’re likely to jump at the opportunity. Whether you invite them as just a guest with an all access pass (to network, learn and provide value to their audience) , or you invite them to give a talk or be on a panel (exposure). Building a relationship with an influencer is also far easier to achieve if you meet in person. Get prepared now by assessing and pinpointing appropriate upcoming events. 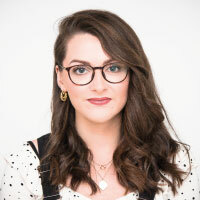 Influencer Generated Content – approach an influencer with a content idea around a topic they’re passionate about, that you can collaborate on. This is a great opportunity for them to gain exposure to a new audience, provide value to their existing audience and demonstrate their expertise. Always-on community social outreach – get on your influencers’ radars by following their social profiles, sharing and engaging with their content. This is a great way to make them familiar with your brand and build a relationship before you even approach them to work together. Invite influencers to join your program – this is a formal agreement with a clear list of activities and benefits outlined for both parties – an equal value partnership . Employee advocacy – influencers are far more likely to engage back if they’re approached by a personal account over a branded account – for the exact same reasons why influencer marketing is so popular. Identify internal SMEs (Subject Matter Experts) for your core topics and connect them with relevant topical influencers. This is a win-win where the SME can slowly build relationships with their influencers and grow their influence and profile all at the same time. Product gifting – send influencers your products for them to try, in exchange for reviews. This gives the influencer intelligence on what’s available in the market place, which they can pass on to their audience. They’re also able to provide a genuine non-scripted testimonial on your brand. Financial compensation – this for us should not be the first and only approach you take with influencers. This being said, influencers’ time is valuable, so some financial compensation may be appropriate. The important difference here is to pay for their time, not their opinion. Justifying influencer marketing to senior management is often the most challenging feat. To get maximum value and make this sell-in easier, think commercially about how you can tie influencer marketing into existing business objectives/strategies and activities. Do you have an upcoming event that you can involve influencers in? Is there an existing marketing campaign planned or hero piece of content that you can easily get influencers involved in? Are you launching any new products where influencers can potentially get involved in the development, promotion or reviewing? To learn more and effectively prepare for 2018, download our white paper: The Definitive Practical Guide to Influencer Relationship Management by clicking the button below.